Dmitri Jurowski, the youngest representative of a famous Russian musical dynasty, was General Music Director of the Flemish Opera Antwerp / Ghent (2011-2016) and since 2011 Chief Conductor and Artistic Director of the Moscow Symphony Orchestra “Russian Philharmonic”. He has also been music director at the Novosibirsk State Opera since 2015. Jurowski has conducted more than a hundred different opera productions, including the Bayerische Staatsoper, the Deutsche Oper Berlin, the Paris Opéra Bastille, the Lyric Opera Chicago, the Teatro La Fenice in Venice, the Opéra de Monaco, the Grand Théâtre Geneva, Palau de Les Arts Reina Sofia in Valencia, the Israeli Opera Tel Aviv and the Moscow Bolshoi Theater. The works of Wagner, Strauss, Zemlinsky, Tchaikovsky, Mussorgsky, Shostakovich and Prokofiev were among them the focus of his artistic work. In 2010, he directed the award-winning production of Eugen Onegin by Dmitri Tcherniakov on a European tour of the Bolshoi Theater. He also performed in the Teatro Real Madrid, the Royal Opera House Covent Garden in London and the Lucerne Festival. Dmitri Jurowski has worked with leading international orchestras such as the BBC Philharmonic Orchestra in Manchester, the Swedish Radio Symphony Orchestra Stockholm, the Hamburg Symphony Orchestra, the Dresden Philharmonic, the Vienna Symphony Orchestra, the Bruckner Orchestra Linz, Tonkünstler Orchestra in Vienna, the Residentie Orkest The Hague, Arturo Toscanini Orchestra in Parma, the St. Petersburg Philharmonic and the Hong Kong Philharmonic and Shanghai Philharmonic Orchestra. He also worked with outstanding soloists such as Lang Lang, Jean-Yves Thibaudet, Rudolf Buchbinder, Denis Matsuev, François-Frédéric Guy, Vadim Repin, Maxim Vengerov, Janine Jansen, Ray Chen, Sol Gabetta, Jean-Guihen Queyras, Andreas Brantelid and Johannes Moser. 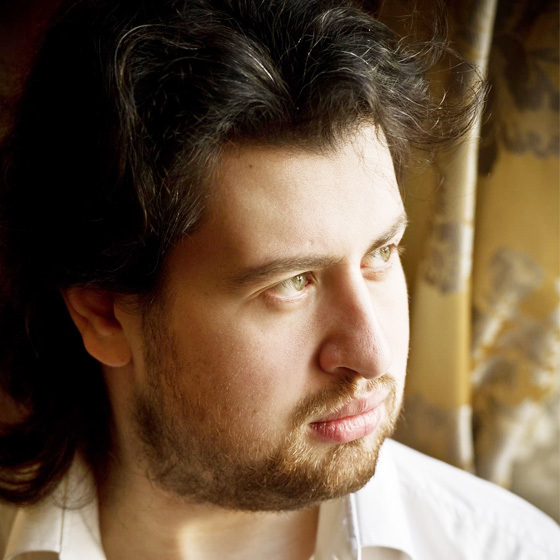 Dmitri Jurowski was born in 1979 in Moscow. First he studied violoncello in Rostock. He then completed conducting studies at the Academy of Music “Hanns Eisler” in Berlin. In Italy he was concerned in particular the study of Italian and Russian repertoire. Since 2005 he has worked as a conductor in both opera and symphonic repertoire. In addition to German, Russian and Slavic classical music, romanticism and early modernism, he is particularly interested in mediation the works of composers such as Korngold, Zemlinsky and Schreker.